James Dahlberg, emeritus professor of biomolecular chemistry at UW–Madison, has been named interim executive director of the Morgridge Institute for Research by the board of trustees of the nonprofit biomedical research organization. Dahlberg is a member of the National Academy of Sciences, a fellow of the American Academy of Arts and Sciences and the American Academy of Microbiologists and a foreign associate of the European Molecular Biology Organization. He is the recipient of numerous awards, including the Eli Lilly Award for Biological Chemistry. His current research focuses on microRNA processing and the function of miRNAs in embryonic amphibian development. He earned his doctorate from the University of Chicago and conducted post-doctoral research in molecular biology at the MRC Laboratory of Molecular Biology in Cambridge and at the University of Geneva. Dahlberg, who served as science adviser to former Gov. Jim Doyle, has been involved with the biomedical institute since its founding six years ago; he has served on its board since 2009. In other action, the board also promoted Kathi Stanek, controller of the Morgridge Institute for the past four years, to chief financial officer and acting administrative officer. As the senior administrative team, Dahlberg and Stanek will ensure the institute’s core research continues uninterrupted as they focus on strategic planning, exploring additional research areas, seeking new funding sources and recruiting a permanent leader to guide the institute in its next phase of development. Sangtae “Sang” Kim, the institute’s first executive director, is leaving the organization at the end of the month to pursue new career interests and opportunities. The Morgridge Institute for Research is appreciative of Kim’s efforts in helping to launch the institute. 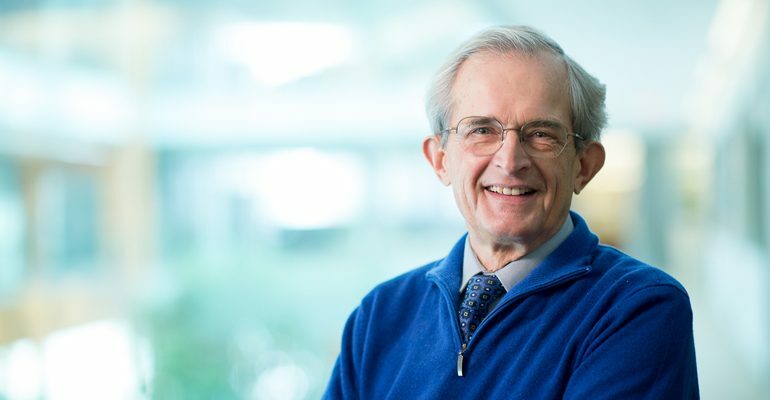 The Morgridge Institute’s core scientific leadership team and principal investigators include stem cell pioneer James Thomson; virologist and Howard Hughes Medical Investigator Paul Ahlquist; medical devices inventor and entrepreneur Thomas “Rock” Mackie; computer scientist and distributed computing innovator Miron Livny; and Rupa Shevde, a stem cell scientist and director of the institute’s extensive educational outreach effort.